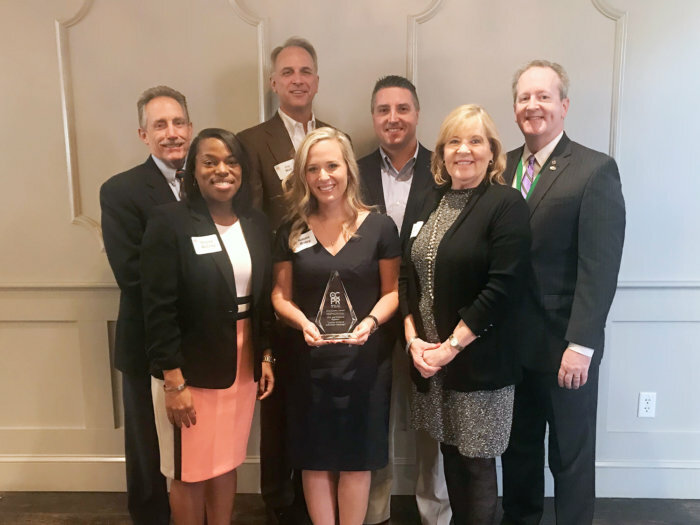 The Charlotte Chapter of the Public Relations Society of America awarded LGA not one but two first-place wins at the annual Queen City PR Awards. LGA’s work for the PGA of America won in the community relations category for associations, nonprofits and governments. Our two-year campaign to promote the 2017 PGA Championship at Charlotte’s Quail Hollow Club helped make the event the most successful in its 99-year history, with record ticket, merchandise and hospitality sales. Our partnership with longtime client National Gypsum has earned recognition the past two years in the integrated communications category, so it was especially rewarding for our Ask for PURPLE influencer program to claim top prize for digital and social media. Judges were impressed how, for a minimal investment, the campaign used DIY bloggers and social media influencers to educate and engage homeowners nationwide.